Steve McQueen famously said “I’m not sure whether I’m an actor who races, or a racer who acts.”. 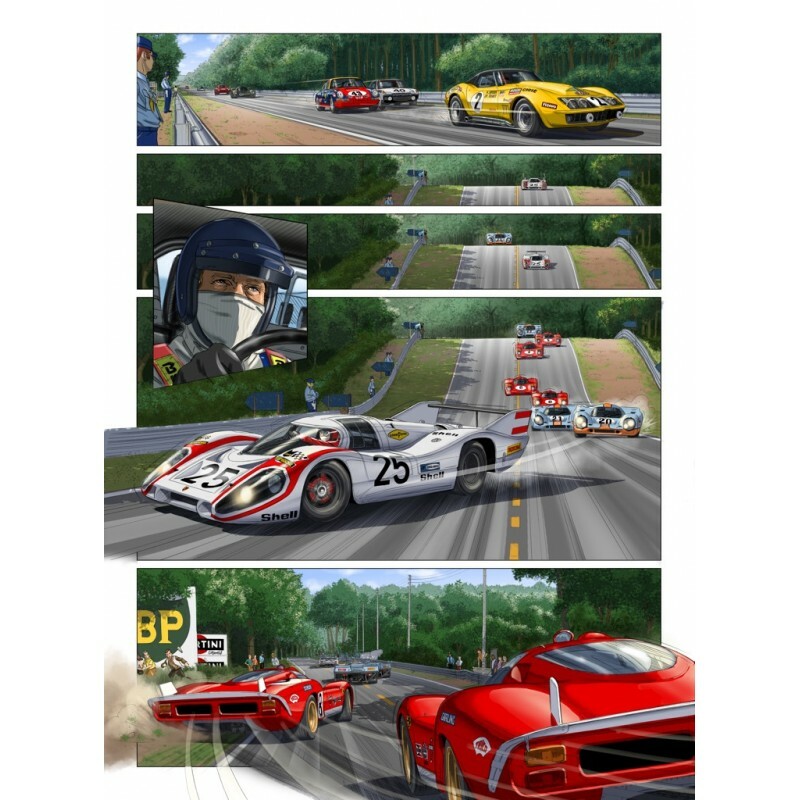 In 1970 he decided to share his passion and produce the best movie about car racing ever made. 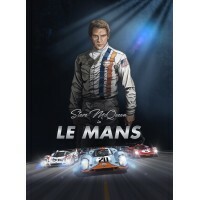 He couldn’t imagine a better place than Le Mans, one of the oldest and most prestigious endurance races in the world, to make his dream come true. The filming was difficult, but Steve never gave up. Sandro Garbo and his team created a piece of art to share their love for classic cars, the movie Le Mans and the “King of Cool”. 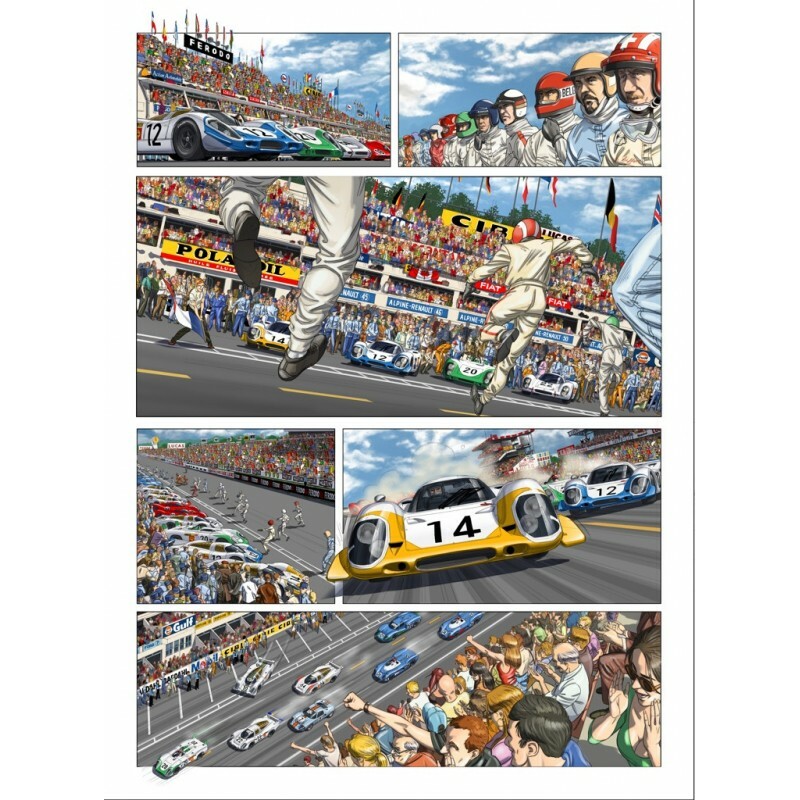 But not just any graphic novel, this book would be a tribute to Steve McQueen and a legacy for all lovers of car racing and fans of the legendary Porsche 917, Ferrari 512, and of course many other beauties. 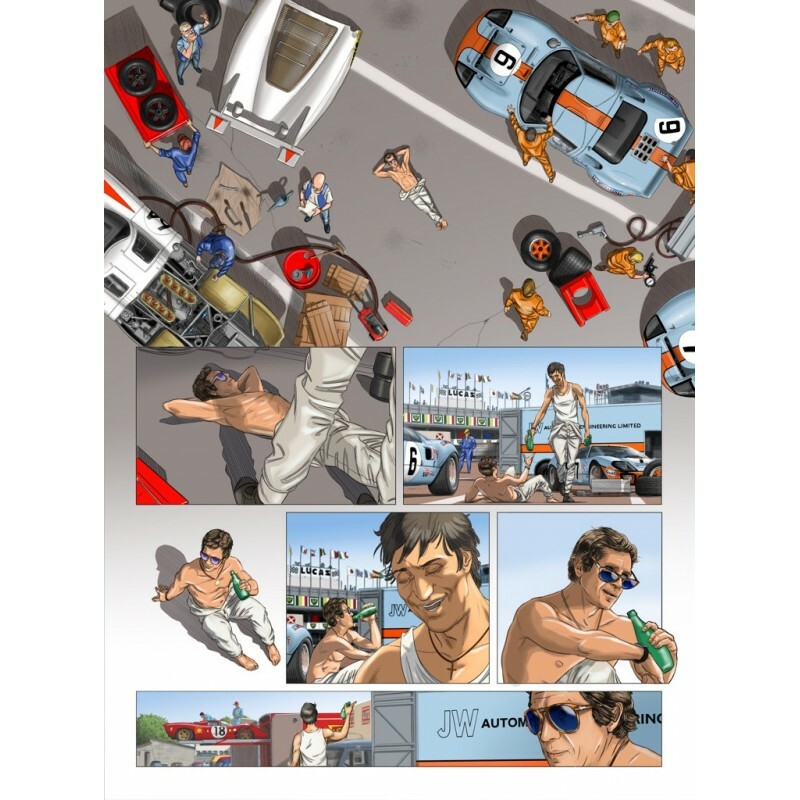 What makes this graphic novel so appealing is the love and effort Sandro and his colleagues invested in it, making sure that every detail was carefully crafted and depicted the story at its best. We hope you’ll enjoy reading it and share these good times with other car lovers. Un très bel album avec une qualité graphique et de reproduction exceptionnelle. 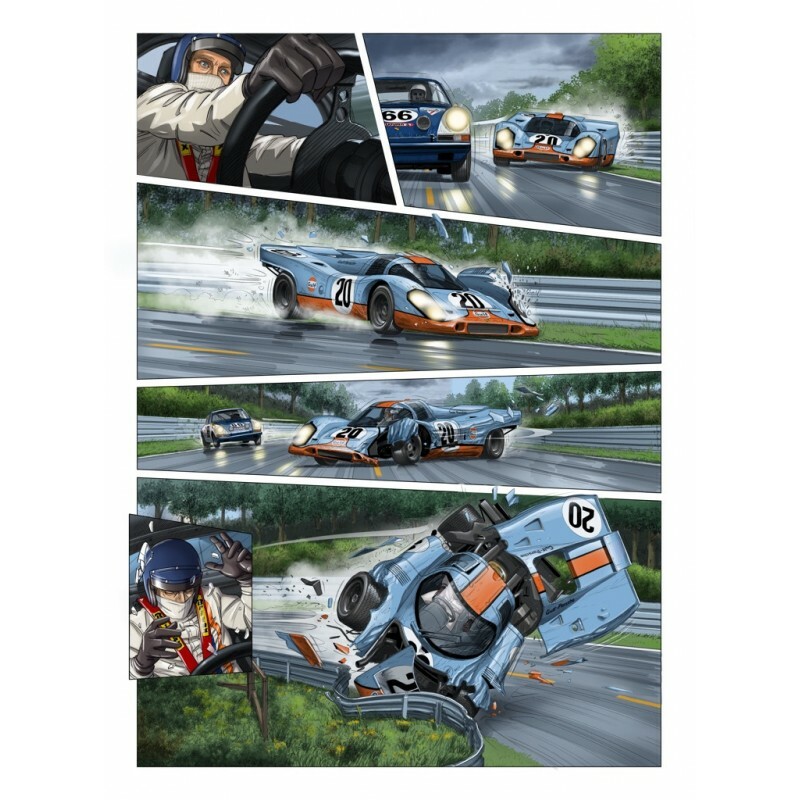 À avoir dans sa collection de BD ou d'ouvrages d'art car il s'agit bien d'art. Bellissimi disegni,storia fedele all'originale,per tutti gli appassionati del film, spero arrivi presto la seconda parte. Storia ben scritta e ben disegnata. 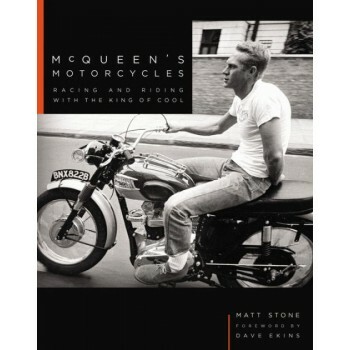 The long-departed Steve McQueen is still the coolest man on two wheels.